Time for a bird photo again. Now in the city I have less chances to take photos of birds. I mainly find pigeons, crows and common blackbirds, but sometimes I also find other birds in the bushes, in the parks, outside of the districts or in the nature around the city. As my mother has a garden, there is another chance to take photos of some special birds. 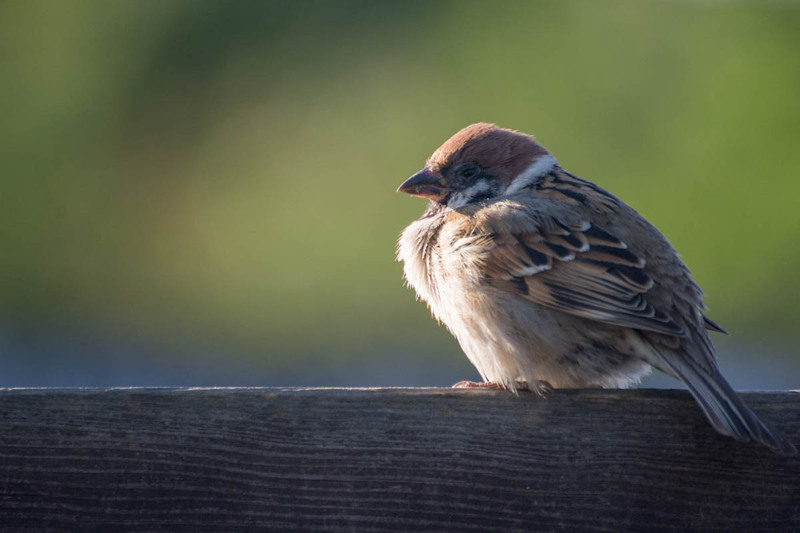 The photo in this post was taken in her garden, I think it was an old house sparrow. Anyway, I still miss the country, it was much easier to find birds in the smaller town. The result was that I could upload a lot of photos to my bird category here on the blog, but don’t worry, I still have many that I didn’t upload yet.